He wasn’t alone in that sentiment. In recent years, the gold-rush-like fanaticism around cryptocurrencies subjugated its technology partner, blockchain, to a secondary support role. At least when it came to public perception. But that sentiment is shifting with the recent crash in cryptocurrency values. Like bandwagon sports fans, casual investors in crypto have turned their attention elsewhere. And it’s a good thing. Because the exciting stuff is where blockchain developers start solving real problems with the technology. We’re seeing a lot of momentum for blockchain among our clients, including many in the Fortune 500. Some are already piloting the technology and learning how a decentralized app with an immutable blockchain can transform their business processes. That may not be exciting for people who are banking on crypto to make some fast cash. But for those of us working with blockchain, digging into the technology and finding high-value use cases is where the real fun begins. As I wrote recently on the IDG Connect blog, this could be the year that a high-profile blockchain pilot makes a real difference to a business and an industry. It might even save lives. One company poised for a blockchain breakthrough is Walmart. The retail giant is collaborating with its partners on a blockchain solution to track the path of food through the supply chain. With blockchain’s decentralized ledger technology, Walmart can follow the journey of produce from farm to table. Such a solution could have spared many people sickness from the recent E. coli outbreak in romaine lettuce. And it could have saved businesses millions of dollars in cost due to the FDA’s broad recommendation to destroy all romaine lettuce on the market. With blockchain, the original source of contamination could be identified and isolated almost immediately. And if one high-profile blockchain could spare companies cost and potentially save lives, the buzz could accelerate adoption of blockchain technology across a wide range of industries. But without crypto, what will fund innovation? One way blockchain startups exploded is that they were able to fund themselves by distributing their own cryptocurrency. Casual investors excited about crypto would purchase tokens during ICOs based on the hypothetical future value of those tokens. But with the drop in cryptocurrencies, startups will no longer be able to ICO their way into instant cash. Instead, blockchain-based startups will need to look to traditional funding vehicles — angel investors or venture capital (via firms like Andreessen Horowitz). And there will be a return to sensible business models and growth plans for companies looking for funding. 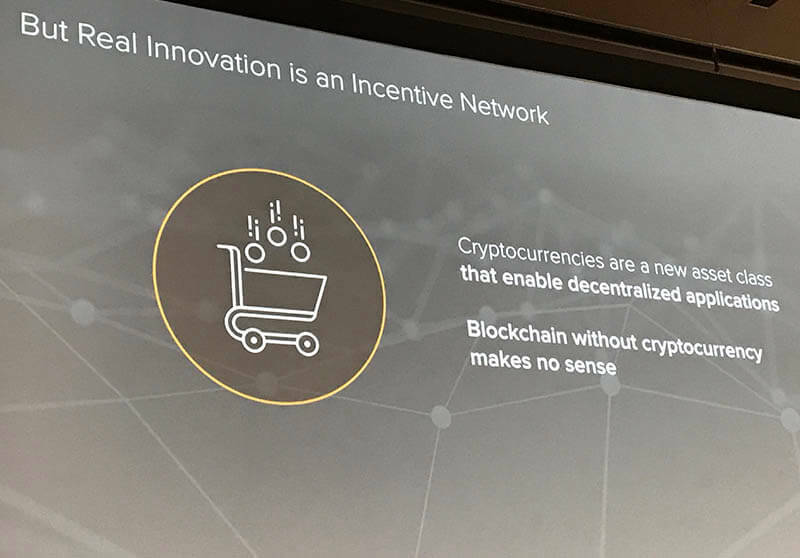 This probably also means that we’re more likely to see tangible blockchain innovation from established companies, like Walmart, as they use their own deep pockets for pilots and early commercial deployments. Meanwhile, perceptions about cryptocurrency will (finally) be divorced from the perceptions about blockchain and its underlying technology. Crypto and tokens, of course, will still be a part of many blockchain solutions — but it won’t be THE thing. While crypto dominated headlines in 2018 for all the wrong reasons, 2019 will be the year that blockchain technology sees commercial success. Eric N. Shapiro - Eric N. Shapiro is the CEO and co-founder of ArcTouch. His days of working with technology go all the way back to his time at Apple, when (among other things) he was involved in the launch of the Newton.